Our aim is to provide a high quality, professional service that ensures everyone leaves the salon with the style and look they desired. We also aim to make sure that our services are carried out within a relaxed, friendly and non-judgmental atmosphere. Our team of continuously trained staff are available for free consultations seven days a week, please note that as we take our health & safety responsibilities to you so seriously, anyone wishing to book for a colour appointment will need to have a free skin test prior to having certain colour products applied (please contact us for further information). Michael was able to lift my red hair to lovely multitonal blonde in just one sitting. 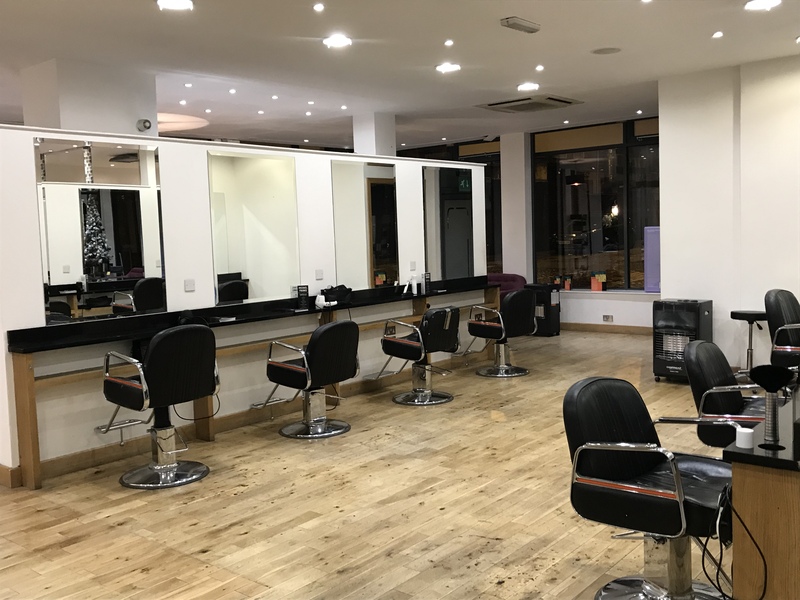 The salon is stylish, modern and right in the city centre. Staff were very friendly always offering the clients beverages and making chit chat. I will be back again! Thank you for taking the time to review your experience in Michael Franks! So pleased to hear Michael was able to achieve the colour you wanted in one process and you enjoyed your visit! Look forward to seeing you on your next visit! Completely satisfied with the experience I had. Thank you for taking the time to write a 5* review! So pleased to hear you were satisfied with your experience! Great salon and stylist. I also had a facial with Anna, she was fabulous. Only complaint was the music in the therapy room was unsuitable. Great experience. The Music system is something we are looking into at the minute as we agree that the beauty room music needs to be nice and relaxing compared to salon music! We are pleased to hear you enjoyed your facial and had an overall great experience! So pleased to hear you had an excellent experience with Michael! Michael is very talented at hairdressing and really shows his passion for it through his work! Haydn cut my hair and I’m so happy with the result! There was a great atmosphere in the salon too. So happy to hear your pleased with your hair by Haydn and you enjoyed the atmosphere in Michael franks! Thank you for taking the time to write an amazing review! So pleased to hear you found your experience professional and our team were attentive! So pleased to hear Harry looked after you and explained the process of the service throughout your experience! We will forward this amazing review to him! My second facial here with Anna; excellent again and a very good tension massage, I can tell a difference from using Dermalogica products she recommended to me so Thankyou again! So pleased to hear you have returned to Michael Franks and had another great experience! Anna is very Knowledgeable in Dermalogica and ensures her clients are relaxed during the service! Look forward to seeing you on your next appointment! so pleased to hear you have returned to the salon and enjoyed your visit with Harry! Thank you for taking the time to review you experience in Michael Franks! Absolutely in love with my hair! Harry explained everything and was so good at making sure everything was how I wanted. Couldn’t ask for anything better!! so pleased to hear Harry looked after you well and explained everything thoroughly, we will forward this amazing review to him! So pleased to hear you had a great service and they gave you helpful advice on hair colour! Sarah-Jayne is a great hairdresser, love my cut,highly recommended! thanks! so pleased to hear you love your haircut by Sarah-Jayne, we will forward this amazing review to her! Great haircut and atmosphere. Haydn was really helpful and I'll be back! So pleased to hear you had a great haircut and enjoyed the atmosphere! Got another great hair cut and Chelsea is so lovely and chatty, always makes me feel really relaxed. so happy to hear you had a great service with Chelsea and she made you feel relaxed, we will forward this amazing review to her! So pleased to hear you enjoyed your experience in Michael Franks with Yasmin! thank you for taking the time to review your experience in Michael Frank! amazing, so pleased to hear you have returned to Michael Franks and loved your hair colour and style every visit by Michael! He will so happy and proud to hear a lovely review like this! Lucy is amazing at colour corrections. She took her time and made my hair feel amazing - thank you so much. The whole team are fab & it is such a lovely salon. Its so lovely to hear amazing reviews like this, we will forward this positive review to our team!